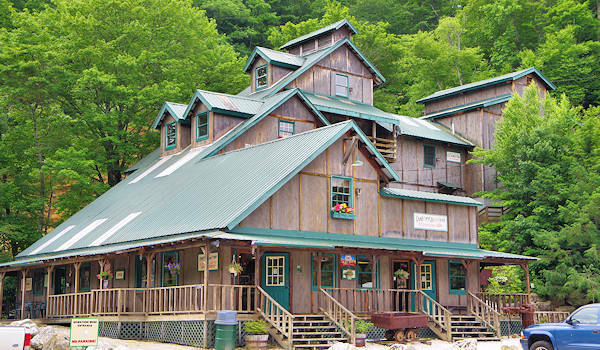 The Emerald Village complex in Little Switzerland is a fascinating campus dedicated to local gem and mining history with plenty to see and do. 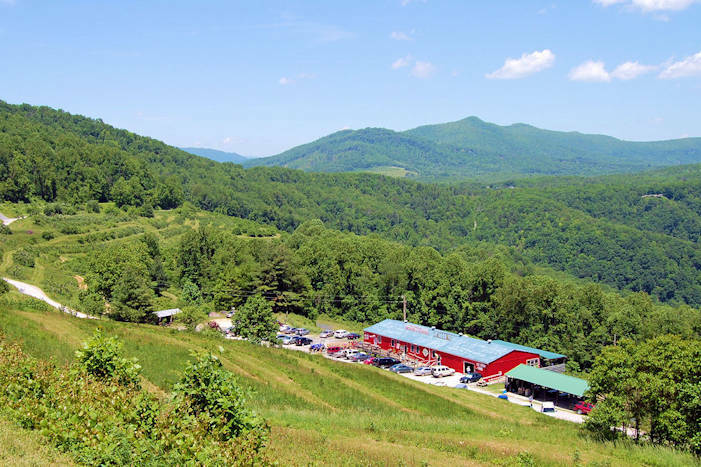 It is located just a few miles off the Blue Ridge Parkway near Spruce Pine and about an hour's drive from Asheville. 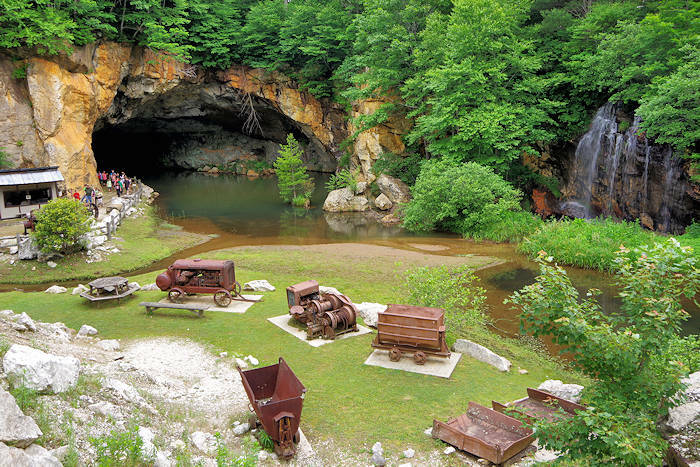 This scenic spot is home to 12 real mines, making it our top authentic spot to pan for gems and gold - fun for all ages. Packed with a big variety of items collected for decades, most exhibits are free to see. It's open 7 days a week, spring through fall. 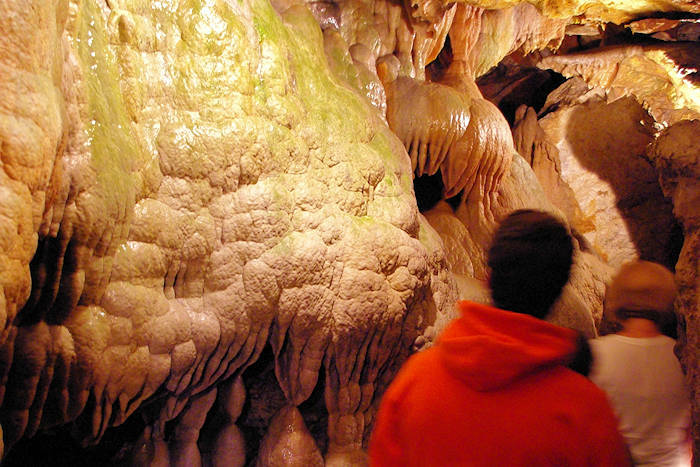 It attracts visitors from around the world, getting lots of publicity on shows like the Travel Channel's "Ultimate World Access" and National Geographic Channel's "The Savage Line." 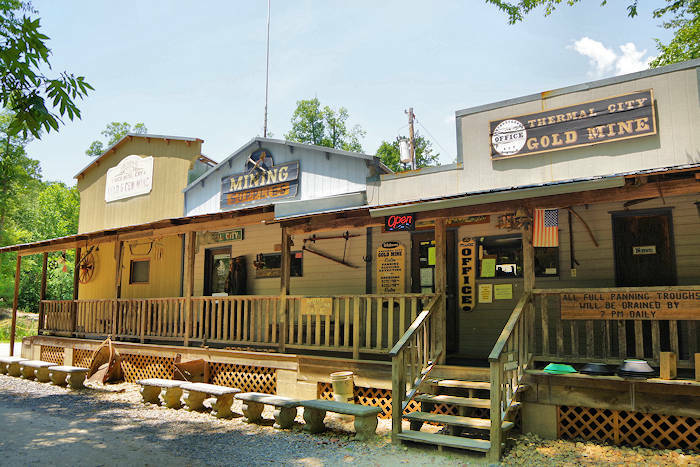 At the North Carolina Mining Museum, see lots of historic mining equipment and take a self-guided underground tour of a former mine ($8/adult). Adjacent is the Company Store (free) with a glimpse of a mining town from the 1920s. 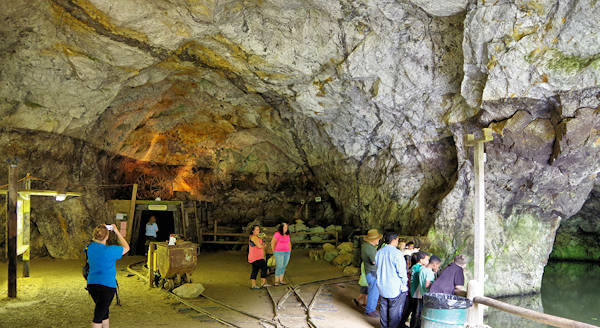 The peek inside the historic Bon Ami Mine is the highlight for many. For a unique after-dark experience, take the guided Black Light Mine Tour ($15/adult) and see the underground mine magically lit up with ultraviolet lamps - on ten Saturdays a year. 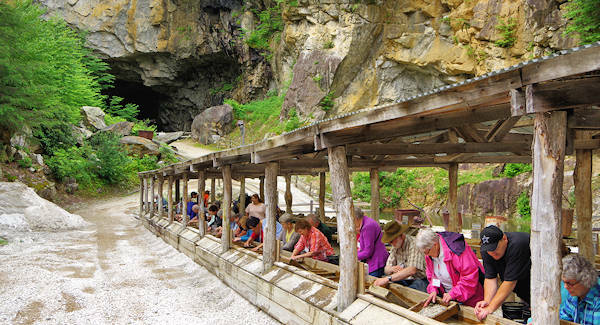 Experience the thrill of discovery while panning for 25+ gems and gold at The Gemstone Mine. Keep everything you find for a very special souvenir. The sprawling, quirky Discovery Mill building has 8 levels of shops and exhibits with a big variety of themes and collections. All the displays are free to see. The first floor houses the gift shop, restrooms, a variety of souvenirs, gifts and a deli. There are both indoor and outdoor picnic areas. Labor Day Weekend: RockFest with music, tours, panning and more. Directions: Street address is 331 McKinney Mine Road, Spruce Pine, NC 28777. From the Blue Ridge Parkway Milepost 334, loop around and go back underneath the Parkway. After one mile, take the first paved left, McKinney Mine Road. Go two miles. 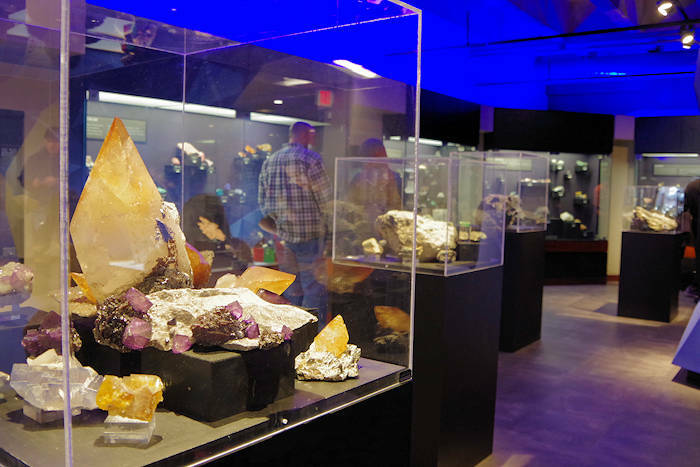 Nearby: The Museum of North Carolina Minerals is just six miles away on the Blue Ridge Parkway (and Orchard at Altapass is 8 miles). See other things to do nearby in Little Switzerland and Spruce Pine. History: While emeralds, amethysts, sapphires and garnets have been found in area mines, these mines were primarily used for mica, feldspar and quartz. 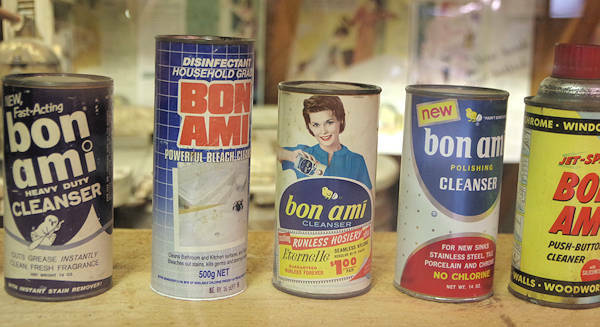 The Bon Ami Mine was a feldspar mine during the early and mid-1900s - providing the primary ingredient for the popular Bon Ami cleaning powder. A nearby mine was operated by Tiffany and Company. 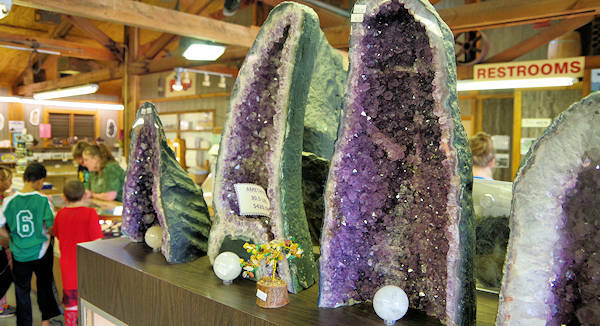 The Big McKinney Mine at Emerald Village was once the largest feldspar mine in the world. Today, quartz mines in the area supply manufacturers of silicon chips. Visit the Emerald Village website for more.